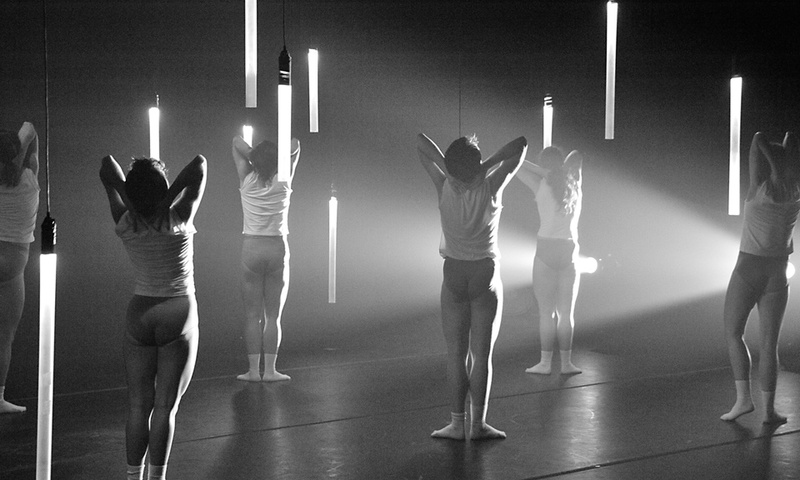 This third instalment of the performance series VIUN takes the form of a fully-mediated dance performance where lights, sounds, and choreography are equally present and equally emphasized. 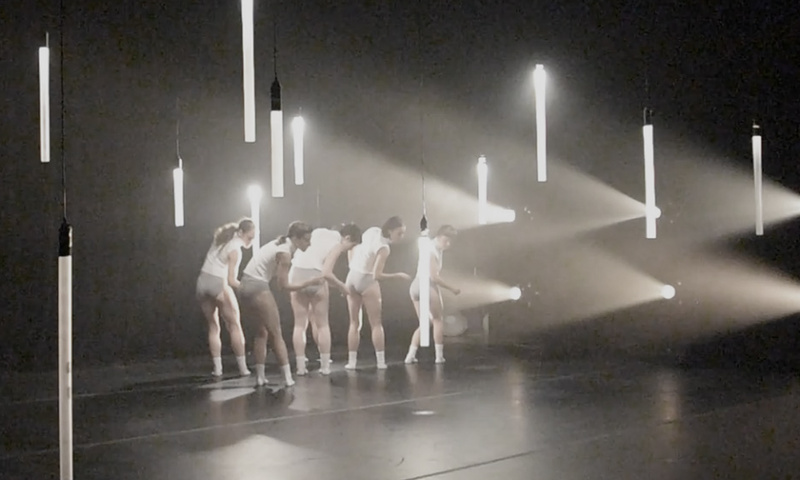 This performance, presented at the Zone HOMA theatre in Montreal, builds on the scenography and concepts of previous two VIUN performances while rethinking the spatial distribution of lights and elements. The light tubes are a continuous theme across all variations of VIUN as a way to bring the media inside the performance space, rather than leave it sitting on a grid or on the sides o the theatre. 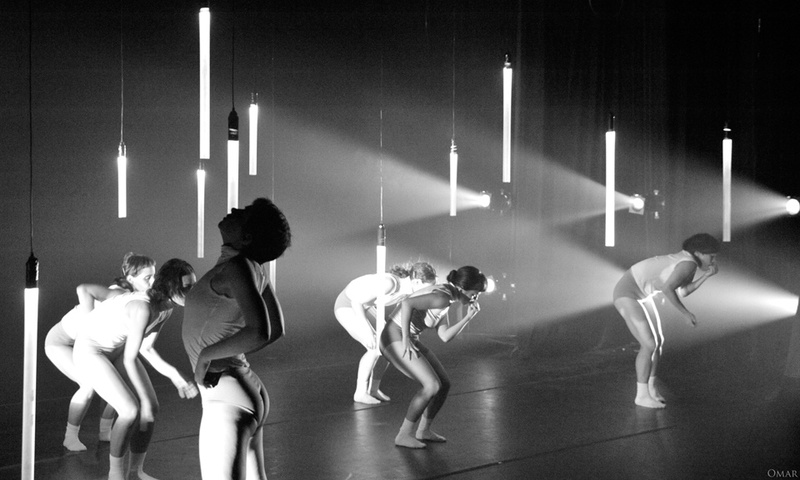 Performers interact with the physicality of the light tubes by pushing them and performing with them on stage, and also interact with the light itself as performers improvise during the non-choreographed segments of the show. 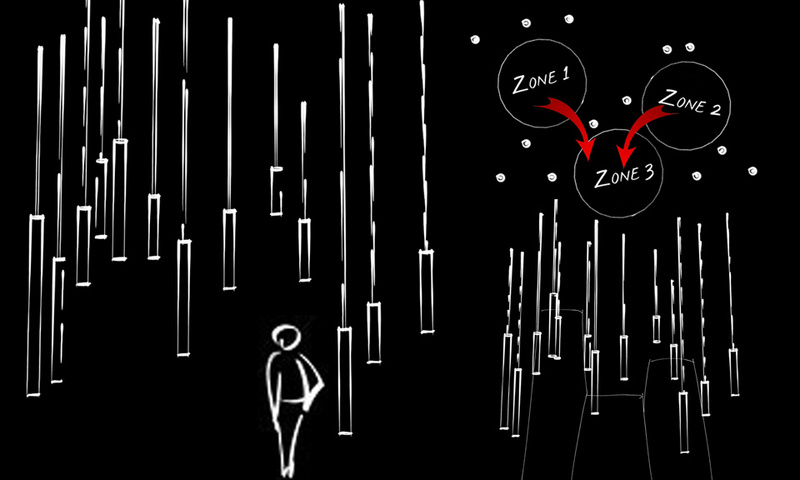 The light tubes are distributed on stage to create three zones of intimacy, creating localized light behaviour where performers can go into different modes of contemplation and existence. The lights and music are synced and choreographed together, where the music of the show was mixed live during the show and the lights cycle between having their own scripted behaviour and being driven by computational sound analysis.